Mai Chen is the managing partner of Chen Palmer, Australasia’s first public law specialist firm, which she co-founded in 1994. Chen Palmer won the Best Boutique Law Firm in 2010, and Best Public Law Firm in the New Zealand Law Awards from 2007-2011, and 2013, and was a finalist in the Employment Law Awards in 2011. The Firm has offices in Wellington and Auckland and celebrated its 20th Anniversary in November 2014. Chen Palmer was one of NZ’s first boutique law firms and was Australasia’s first “Washington-style” law firm specialising in legislation and public policy. Mai is a thought leader, a direction setter and a futures thinker. She is one of NZ’s top constitutional and administrative law experts, specialising in central and local Government policy and legislation, especially as it applies to business, and litigating major public law cases. Mai is Adjunct Professor at the University of Auckland, School of Law. She was previously Adjunct Professor in Commercial and Public Law at the University of Auckland, Business School. Mai is the best-selling author of Public Law Toolbox published in 2012 and Transforming Auckland: The Creation of Auckland Council published in 2014, both by LexisNexis. The second edition of Public Law Toolbox was published in 2014. Mai is the inaugural Chair of NZ Global Women, including NZ’s top 200 women leaders, and founded and is the inaugural Chair of NZ Asian Leaders connecting top Asian NZ CEOs and emerging leaders with New Zealand companies doing business in Asia to enhance their success to help NZ Inc. She also helped to establish the Pacifica Leadership Academy at BEST Pacific Institute of Education, formerly led by Olympic medallist Beatrice Faumuina. Mai is an Accredited Fellow of the Institute of Directors. Mai was in the Top 10 finalists for 2014 New Zealander of the Year. She won the supreme Judges Panel Award and the Professional Excellence Award at the New Zealand Chinese Business Elite Awards in 2012, and also the Business and Entrepreneur Women of Influence Award in 2013. 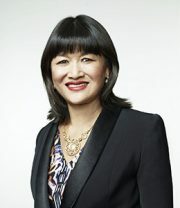 Mai won Next Magazine’s Business Woman of the Year in 2011, and is a World’s Best New Zealander in the Kiwi Expatriates Network. Mai was listed in the 2009 and 2010 unlimited magazine’s top Influencers List. Mai is a member of Legals Finest for Public and Administrative Law and has been ranked in the forthcoming edition of Chambers Asia Pacific 2016 as one of the best lawyers. Mai sat on the Securities Commission for 6 years, on the NZ Board of Trade and Enterprise’s Beachheads Programme, the Asia New Zealand Foundation, the Advisory Board of AMP Life Limited (NZ), and was President of the Harvard New Zealand Alumni Association (NZ) for ten years. Mai sits on the board of directors of the Bank of New Zealand, and will be taking on more governance appointments. Mai has a First Class Law Honours degree from Otago University, a Masters degree from Harvard Law School, is a Fellow of the New Zealand Institute of Management, and an Honorary Associate of Auckland University of Technology. She was born in Taiwan and emigrated to NZ in 1970 with her family. She became a NZ citizen in 1977. Mai launched willtolive.co.nz in July 2013, a site which allows the making of wills to be easy and which helps New Zealanders to live life to the full. The site was rebranded as www.my-Bucketlist.co.nz, and has just been bought by Perpetual Guardian. Mai has completed the “Superdiversity Stocktake: Implications for Business, Government and New Zealand” published on the Superdiversity Centre for Law, Policy and Business Website. Chen Palmer and the Superdiversity Centre have also recently entered into a joint venture with NZ Media and Entertainment to form Cultural Bridge to advise government and companies on how to communicate with diverse New Zealanders. Mai was a Top 10 finalist in the 2014 and 2016 New Zealander of the Year Awards. Mai has appeared before a range of fora including the Supreme Court, the Court of Appeal in New Zealand and the Cook Islands, the High Court, the Commerce Commission, the Regulations Review Committee and other select committees, the Broadcasting Standards Authority, the Apple & Pear Export Consents Committee, the Electoral Commission, the Waitangi Tribunal and the Real Estate Agents Authority. Attorney-General v Problem Gambling Foundation of New Zealand  NZCA 609. New Zealand Motor Caravan Association v Thames-Coromandel District Council NZHC 2016. Chief Executive of Land Information New Zealand v Agria (Singapore) Pte Limited  NZHC 514. Chen Palmer won the Best Public Law Firm in the New Zealand Law Awards in 2007, 2008, 2009, 2010 and 2011 and 2013, and was runner-up in 2012, and was a 2011 Finalist in Employment Law. Chen Palmer also won the Best Boutique Firm Category in 2010. Chen Palmer was runner up in the Best Boutique Firm category of the New Zealand Law Awards in 2007 and 2008.